VENTO Line - Orchard sprayers, Vineyard sprayers, Greenhouses sprayers. Thanks to the innovative process of Industrialization TIFONE is manufacturing the V€NTO line, the Air sprayer with full equipment, offered with an optimal Price-Quality ratio. High performance in Vineyard and Orchard spraying. The best machine to spray in different kind of Vineyards and Orchards." 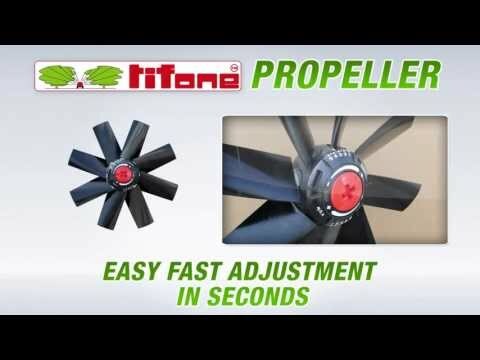 Variable Propeller, for an easy instant Spray Power adjustment. Axial Fans, Instant Adjustable Propeller.